In August 2011, after 143 games, then Bulldogs ruckman Ben Hudson decided to hang up the boots on his career. But it was Hudson’s exit from the game that became a talking point, as one of the shortest retirements the AFL has seen. Close to turning 33, and just a month after his final game – instead of enjoying the spoils of retirement, Hudson committed to a fresh start with the Brisbane Lions, his third AFL club. “I genuinely retired. That was it – I was going home,” Hudson told Bob Murphy in the ‘Glory Days’ podcast, exclusive to westernbulldogs.com.au. 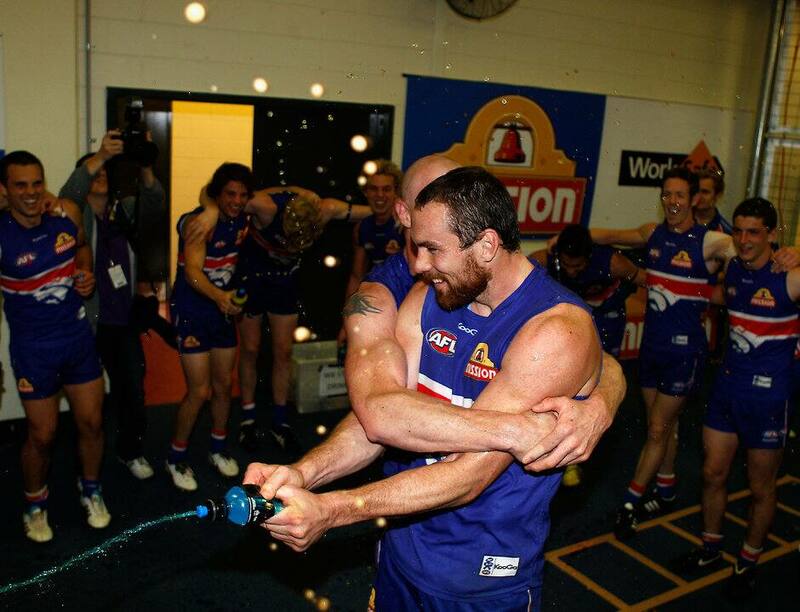 Hudson, along with another retiring Bulldogs’ favourite, Barry Hall, were chaired off Etihad Stadium after the Club’s final-round win over Fremantle. “Hally (Barry Hall) retired that day – he stole a bit of my thunder,” Hudson joked. Hudson played 18 games for Brisbane and another seven matches for Collingwood, ultimately retiring on two more occasions (2012 and 2014). “It was an emotional day, the first one (retirement) anyway,” Hudson said. Hudson said the hardest conversation came with teammate and good friend, Murphy. “It was probably more difficult telling you,” he said. “We went on a family holiday together. “I told you and you weren’t too happy. “It was a bit emotional when you knew I was going to wear another jumper, but we moved on quickly,” he laughed. Hudson finished his playing career in 2014, after 168 games.